The setup of ATPDesigner also includes a lot of examples, which can be used to get more familiar with ATPDesigner. The file names of these examples are PowerNetwork_x.net. The character must be replaced by the number of the .NET - File in the list below. 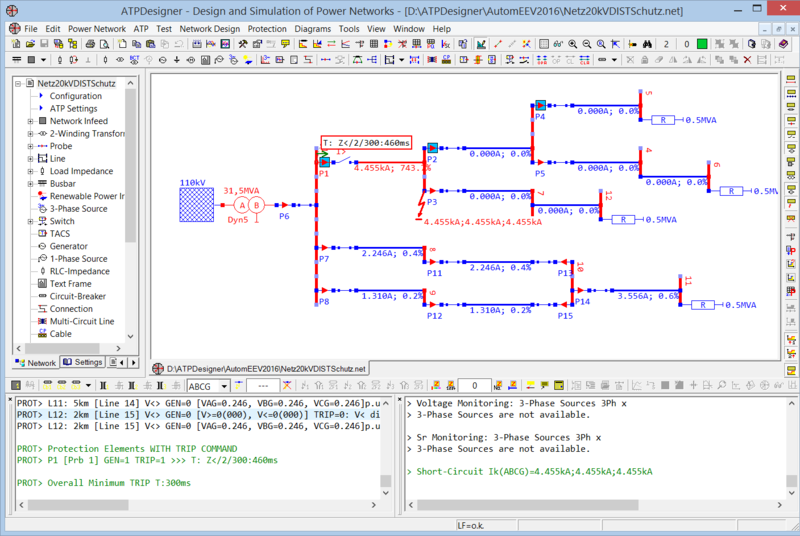 These ATPDesigner Examples can be also downloaded. 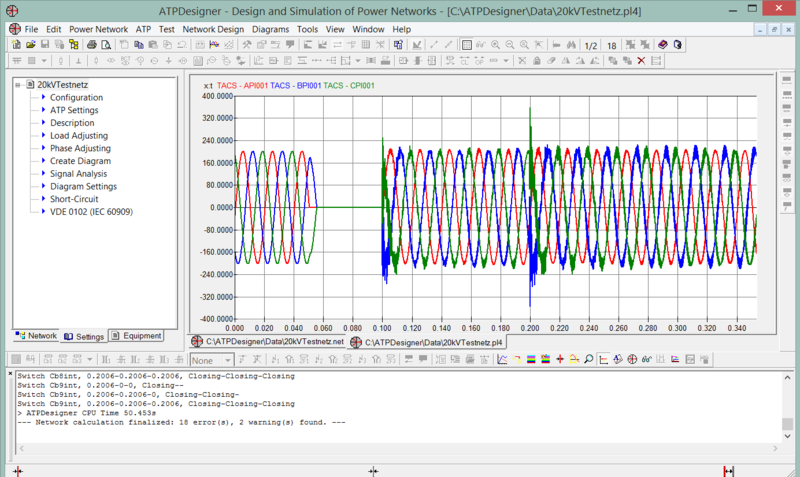 .NET - File 33: Splitting a 3-phase overhead line using Splitter and Connections to simulate phase failures.